We now also received an Italian translation for phpLiteAdmin! :-)Thanks a lot to Franco Tassi who posted the Italian translation in our mailing list. We now have translations to Arabic, Chinese, German, Italian and Russian (and English of course). In our wiki, you can find the download links and install instructions. If phpLiteAdmin is not yet translated into your language, we would be very pleased if you translated it. It is very easy and also well explained in the wiki. phpLiteAdmin can be easily translated into different languages. Version 1.9.4 was released together with English and German localization packages. 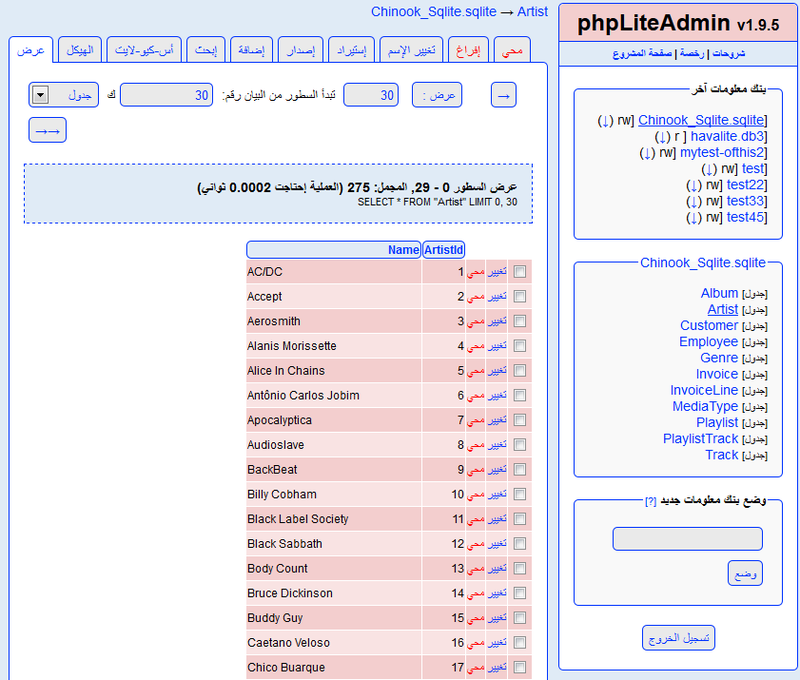 Now teryaki did an Arabic translation for phpLiteAdmin which is now available for download. Thanks a lot! This shows phpLiteAdmin has no problems with languages that require real UTF8 support. To translate phpLiteAdmin into your language, read the wiki page on Localization. It also explains how to install localization packages.